8986 Emerald Hill Drive, Lewis Center; Gram, Stephanie J. to Iluri, Nageswar & Tadikonda, Sree Prasanna; $314,900. 2394 Ness Court, Powell; Paul, Tito J. & Tamara R. to Brayer, Robert D. & Nicole A.; $730,000. 517 Supreme Court, Delaware; O.K.L. & K.A. to Cummings, Lisa M.; $174,900. 1223 Rivercrest Drive, Delaware; Johnson, Eric K. to Cannon, Erin M.; $85,000. 107 N. Washington Street, Delaware; Hill, Stephen M. & Catherine L. to Wells Fargo Bank; $71,000. 6815 Whitetail Lane, Westerville; Schorling, Richard A. & Toni Ann to Hernandez, David E. Flores & Flores, Jenny R.; $350,000. 6947 Regency Drive, Westerville; Mahoney, Timothy D. & Jennifer C. to Kreuzer, Jennifer; $375,000. 7734 Glenmore Drive, Powell; Spencer, Joey & Ashley to Askari Properties LLC; $286,000. 7536 Coachmen Lane, Delaware; Nester, Steven M. & Jennifer J. to Cave, Bryant & Julie; $465,000. US Highway 42, Delaware; Sheets, Marilyn R. to Pittman, Craig A. & Michelle; $570,000. 3510 Westbrook Place, Lewis Center; Bob Webb Ravines at McCammon Chase LLC to Smith, Bonna J. Trustee; $829,397. 9129 Misty Dawn Drive, Columbus; Suffren, Primus F. Jr. to Biradar, Shridhar & Hanamanahalli, Madhu; $235,000. 10008 Archer Lane, Dublin; Winkelspecht, Christopher S. & Cami R. to Scorzelli, Patrick L. & Sarah E.; $555,000. Hanover, Delaware; Feller, Brandon L. & Jessica L. to Nandrasy, James S. & Mary Etta Trustees; $65,000. 779 Carle Avenue, Lewis Center; Royalty Tech LLC to David, James Charles; $93,000. 147 East Branch Road, Delaware; Spear, Norma L. to Sander, Daniel P.; $158,263. 7181 Deacon Court, Dublin; Northwood Land Corp to Grimm, David L. & Leslie; $325,000. 147 East Branch Road, Delaware; Sander, Daniel P. to Shuter, Jay; $209,000. 4497 Tavistock Circle, Powell; Koehler, R. Wayne to Cawthon, Catherine A.; $180,000. 7001 Laver Lane, Westerville; Roberge, Melanie A. to Hunt, Douglas C. & Resikmulyani, Hunt Tessa; $264,900. Horseshoe Road, Delaware; Lehner, Richard R. & Christina L. to Tweed, Kevin & Jennifer; $42,500. 7454 Scioto Parkway, Powell; Ciccone, Deborah to Brenner, Todd A.; $349,000. 120 Race Street, Ashley; Wallace, Stephen to Morehart, Andrew & Edwards, Ashley; $147,000. 8370 Dolman Drive, Powell; Simonetta, Richard J. & Bonnie M. to Brenner, Doreen L.; $410,000. 1181 Ostrander Road, Ostrander; Viola Family Trust to Kalapos, Andrea; $100,000. 6950 Clark Road, Sunbury; Akers, Beatrice M. & Harry M. to Daniels, Jeffrey Allen; $299,000. 6950 Clark Road, Sunbury; Daniels, Jeffrey Allen to Best, Steve & Deborah; $347,500. 768 Woodbend Drive, Westerville; McKenna, Jeonghui to Pyles, Patrick C. & Amanda N.; $340,000. 13780 Hartford Road, Sunbury; Ysseldyke, Charles M. to McKay, Shawn & Kathryn L.; $259,900. 141 Julianne Circle, Delaware; Pulte Homes of Ohio LLC to Garver, Eric D. & Lauren E.; $305,218. 3891 Regatta Court, Lewis Center; NVR Inc. to Newball, Albert D. & Maria L.; $555,125. 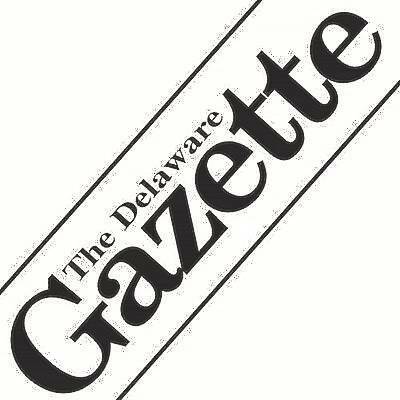 296 Braxton Street, Delaware; Pulte Homes of Ohio LLC to Patel, Dave P. & Kinnari D.; $281,711. 658 Viola Drive, Sunbury; Pulte Homes of Ohio LLC to Thompson, Brittany L. & Tyler D.; $334,405. 2052 Common Bent Drive, Sunbury; Pulte Homes of Ohio LLC to Markel, Wendy M.; $326,900. 8065 Crane’s Xing, Lewis Center; Butcher, Linda J. to Tan, Kay F.; $128,500.